This is a pretty big deal. 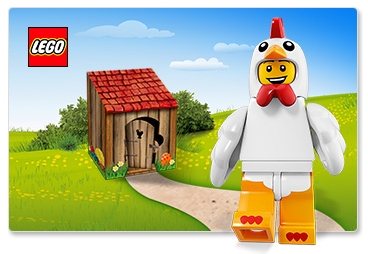 If you spend AUD$40 at LEGO Shop Online before the end of March, you’ll receive a free Chicken Suit Guy with your order! He’s one of the highly sought after costumed minifigures from the Collectible Minifigures Series 4, and is worth around $40 by himself. It’s a great deal, so get spending before he flies away.